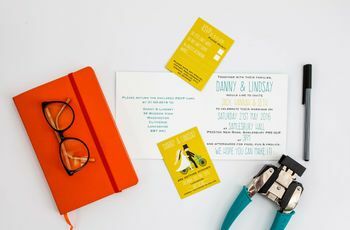 30 Steal-Worthy Spring Wedding Ideas | Wedding Tips ARE YOU A SUPPLIER? 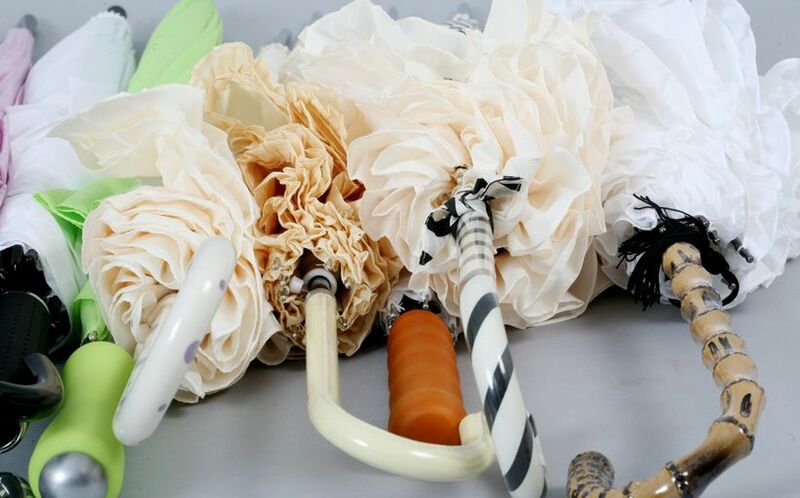 Looking to take your spring wedding bouquet, decor, fashion, food and more to the next level? Here are a few ideas you’ll love. Spring has officially sprung! It’s time to kiss the jewel tones, Christmas lights and snowy decor goodbye and replace it with bolder and brighter trimmings. 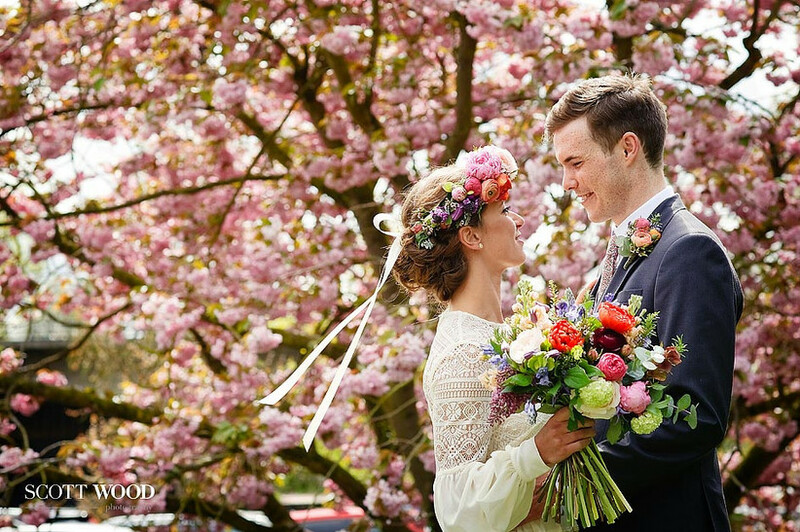 From conservatory venues to flower pot centrepieces to wheelbarrows filled with beer, we’ve rounded up all of our favourite ideas for spring weddings to help you plan something unforgettable that puts the season’s best to use. First things first, choosing your venue. 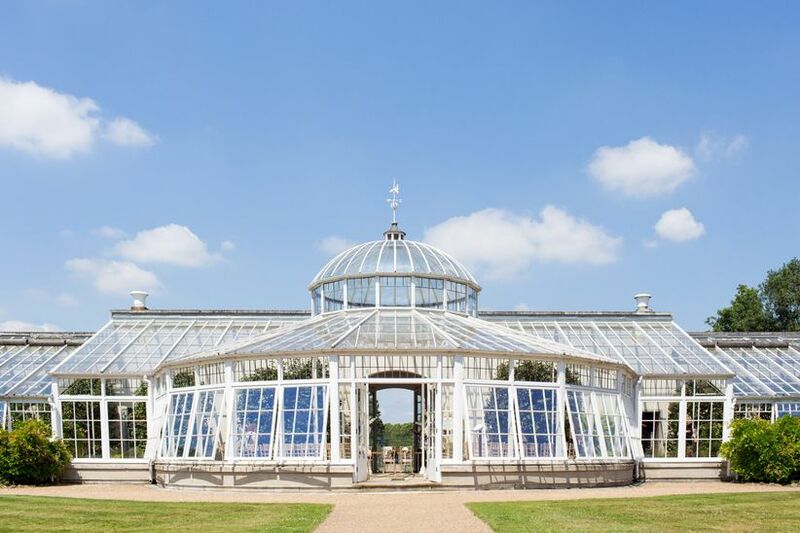 We suggest opting for a conservatory or garden venue so that you can embrace those clear blue skies, blooming flowers and good weather on your big day. 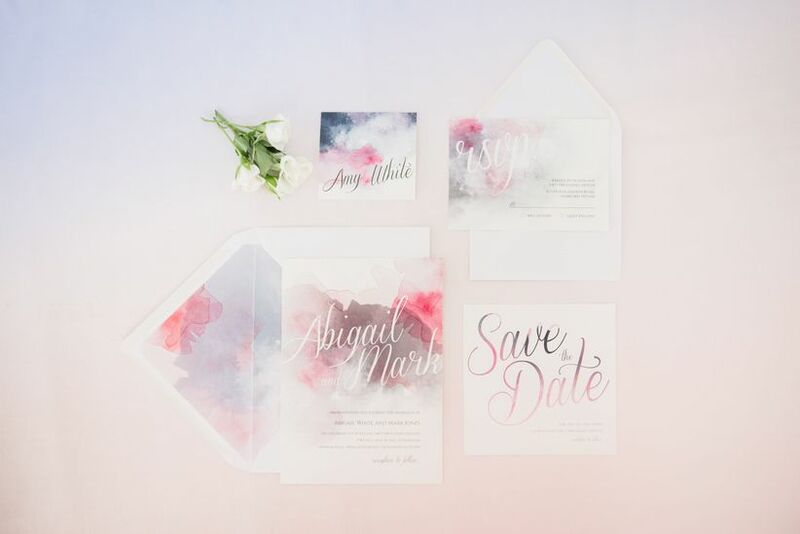 Ask your wedding stationer to whip up some whimsical watercolour invitations for your big day. You get bonus points if you work a bit of flora and fauna into your design (that’s super spring-y). 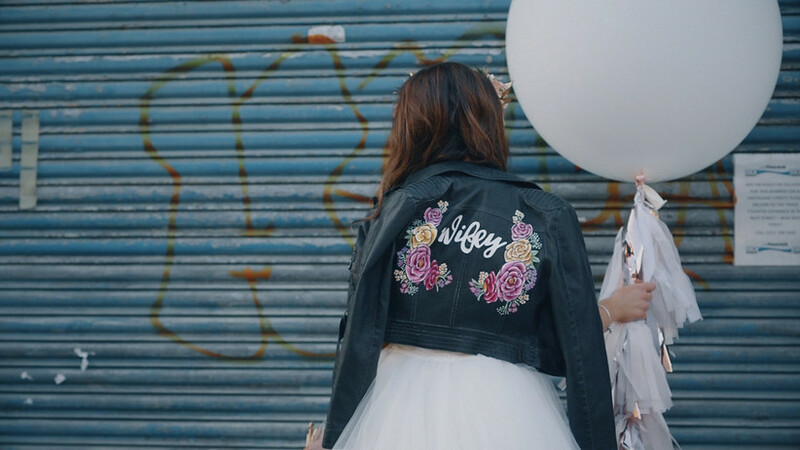 Yes, Kardashian-inspired glam looks are totally awesome, but if you’re having a spring wedding, we recommend keeping things light and fresh. 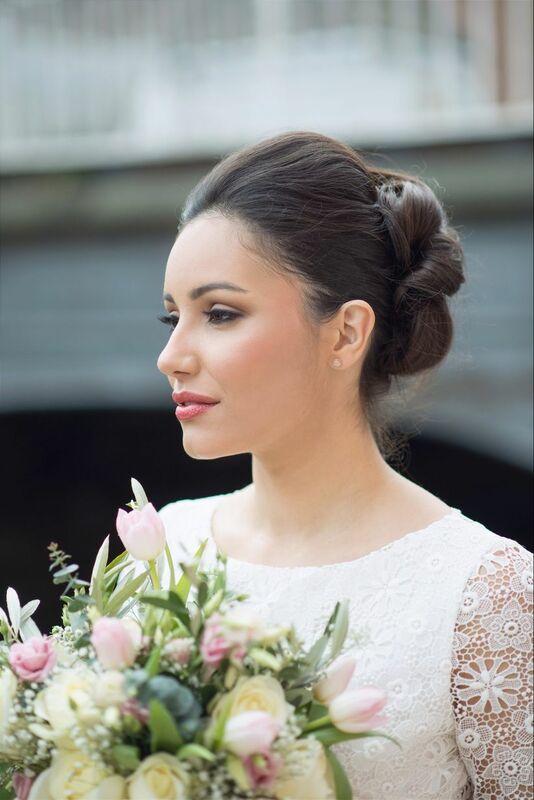 Go for a natural wedding makeup look that shows off your best features and keeps you looking like, well, you. Green is pretty much the unofficial colour of spring. 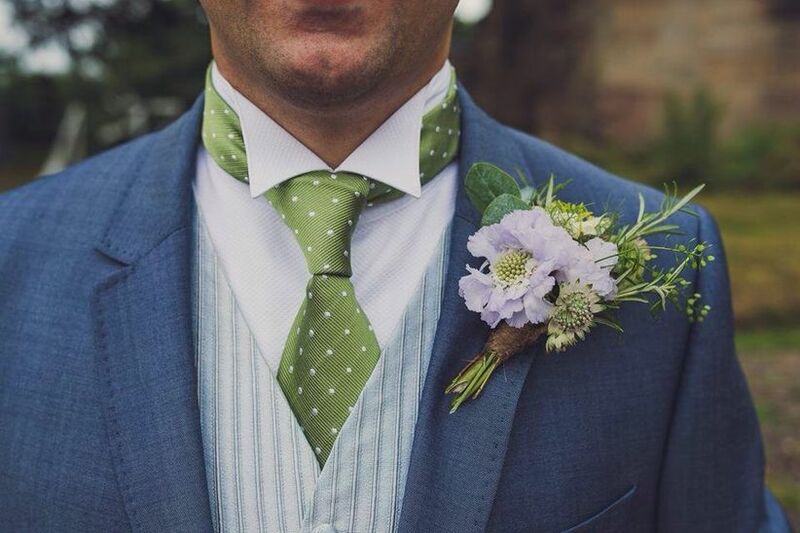 Work it into your groom attire by rocking an emerald-hued tie, pocket square, socks and other accessories. If you really love the colour and are feeling bold, you could even rock a head-to-toe green suit. Mint green, baby pink, sky blue and all the other pastel colours of the rainbow are perfect for the spring season, and, good news, you don’t have to choose just one! 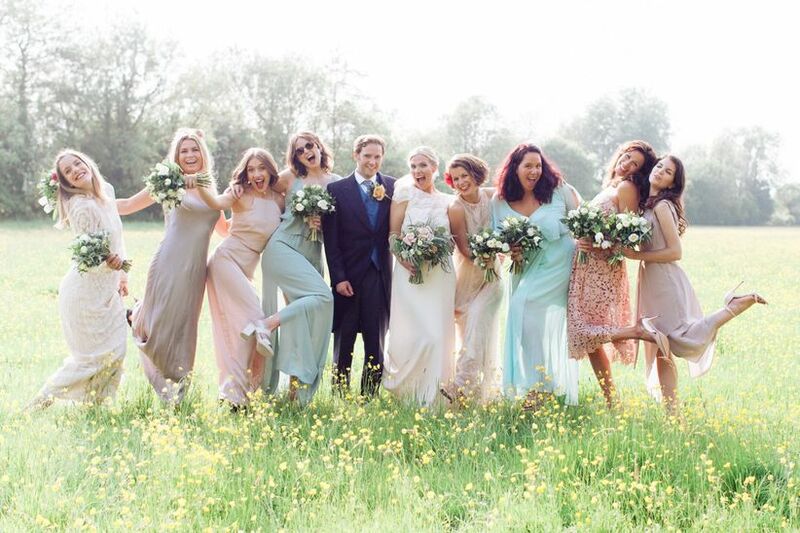 Each of your bridesmaids can wear a different hue to shake things up (just be sure to tie everything together with matching bouquets and/or accessories). The sun may be out a little more, but it’s not summer yet. 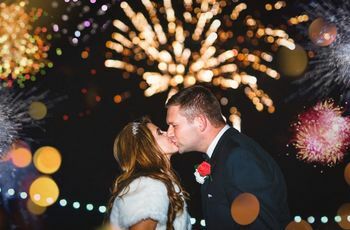 Add a light jacket or cover up over your wedding dress so that you don’t chatter through your wedding vows or spend your wedding photo session shaking and shivering. 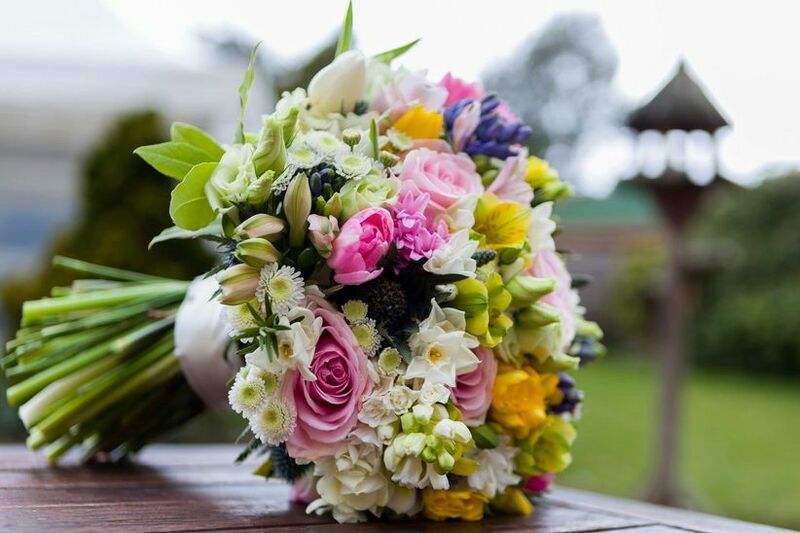 Nothing says spring more than a bright and colourful bouquet. Fill yours with roses, tulips, snapdragons and more of your favourite garden blooms. 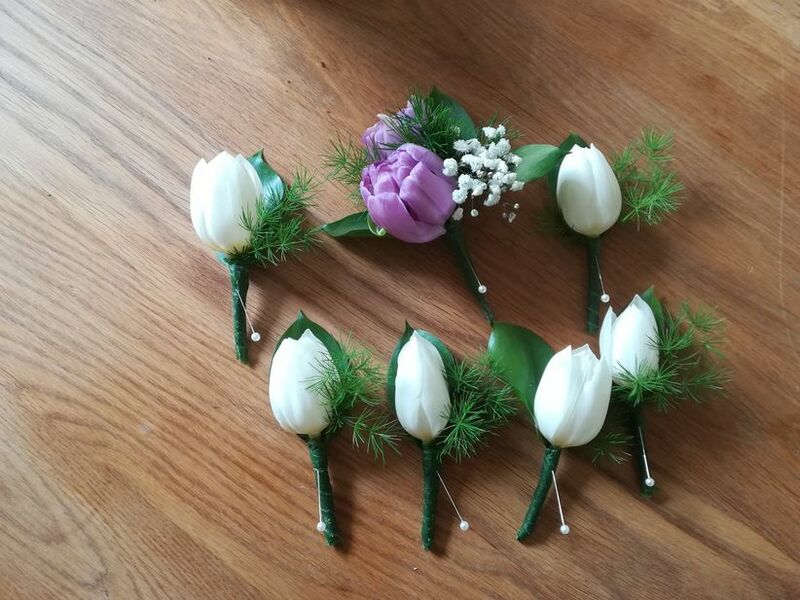 Make your groom and groomsmen attire a bit more spring appropriate by adding tulip buttonholes to your lapels. 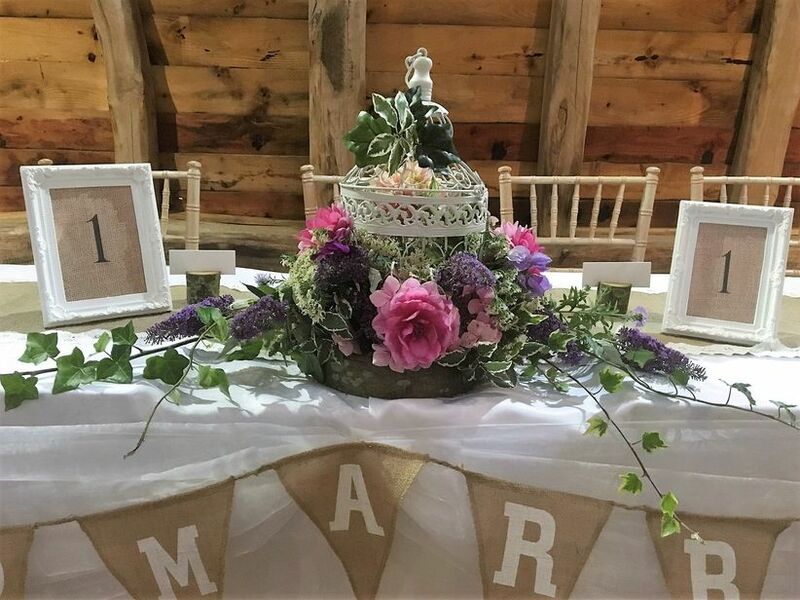 Create a floral sign packed with your favourite flowers. 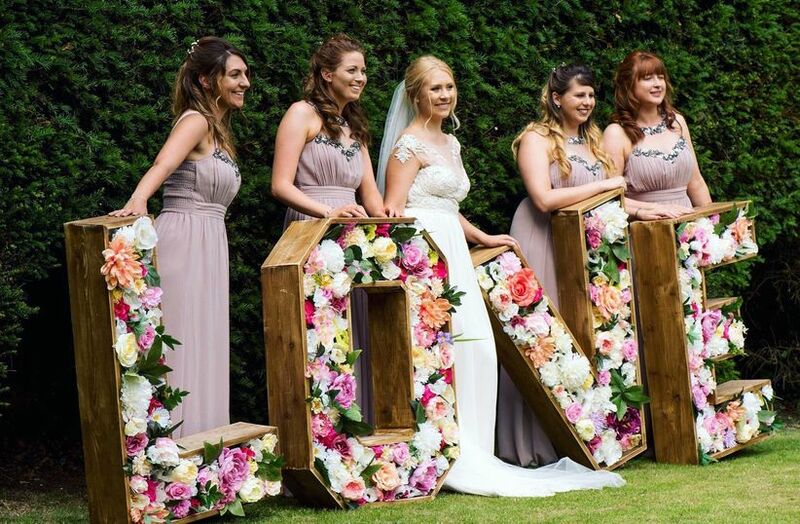 You can choose a cute word that encapsulates those wedding vibes (like ‘love’), spell out your last name or write wedding hashtag in blooms. Looking to do something a little different with your altar? A pastel ribbon backdrop will make it really stand out. 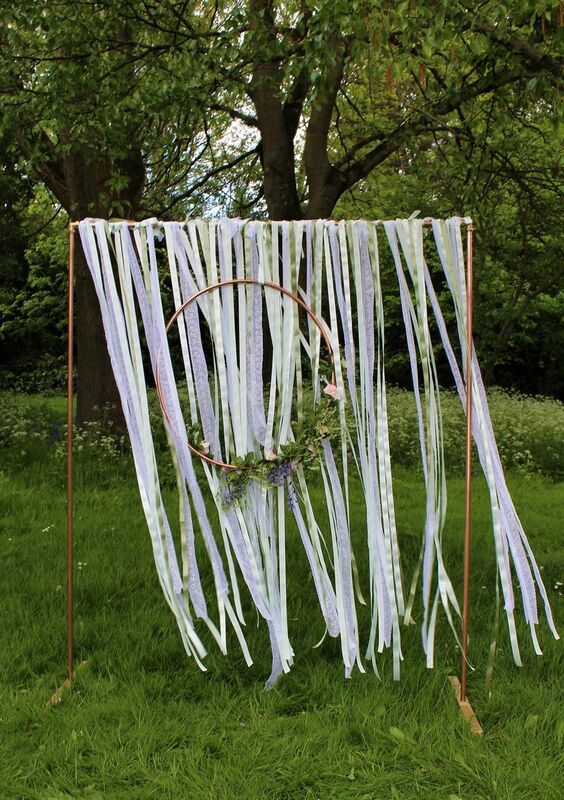 This works for both indoor and open-air ceremonies and looks particularly dreamy when a breeze runs through it. 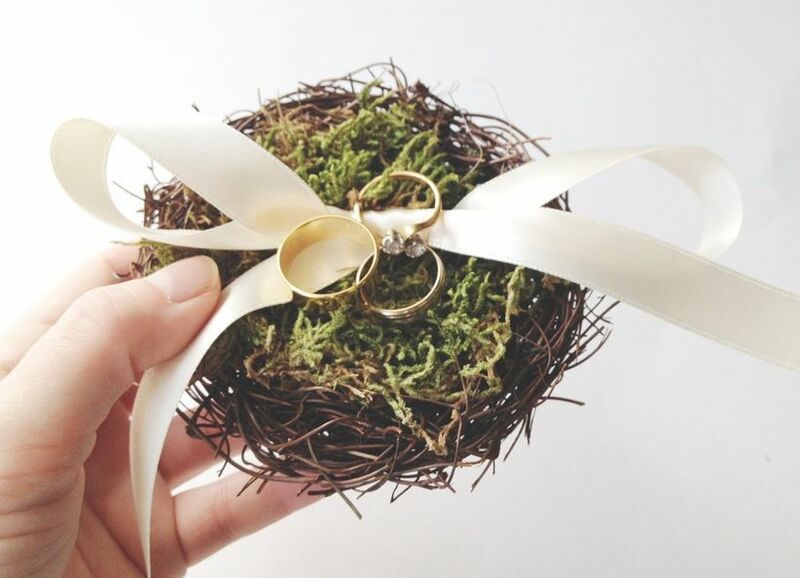 Instead of using a ring box, tote your bands down the aisle on a beautiful nest ring pillow. It’s unique, looks amazing in photos and totally suits a woodsy or garden theme. 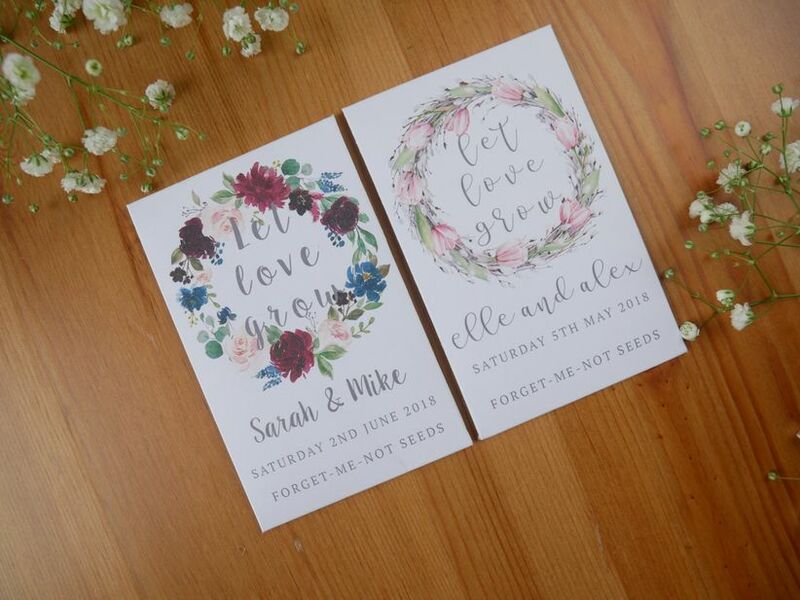 Stamp your invitation envelopes and wedding signage with images of your favourite varieties of flowers, trees, birds, bees and other garden dwellers. Tree wedding tree decor is pretty much a must for a spring celebration. 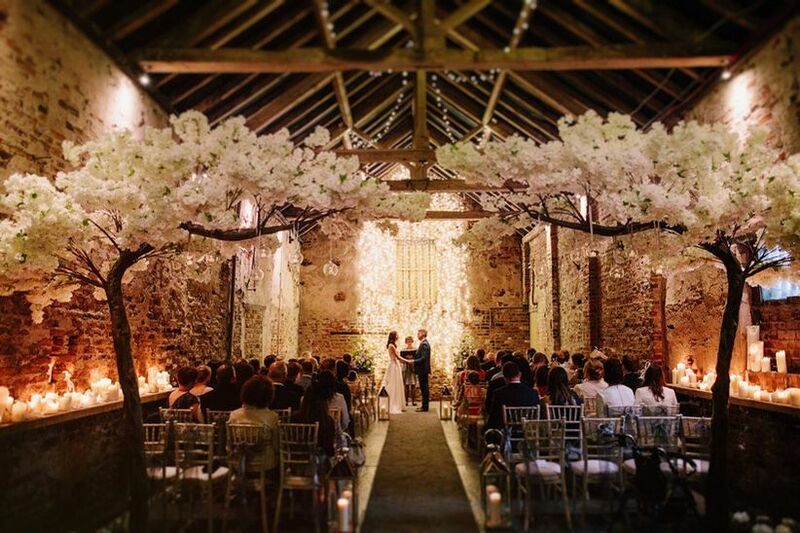 Work it into your ceremony by surrounding your altar or entranceway with big and beautiful cherry blossom trees. They’re extra dreamy and will make your space look straight out of a fairytale. Everyone loves the sun, but there is such a thing as too much of it. If you’re having a good portion of your event outdoors, have a few parasols on hand so that your guests can get some shade if they need it. If rain is expected on your wedding day or the ground is a bit damper than you bargained for, trade in your glittering heels for some fun and festive wellies. 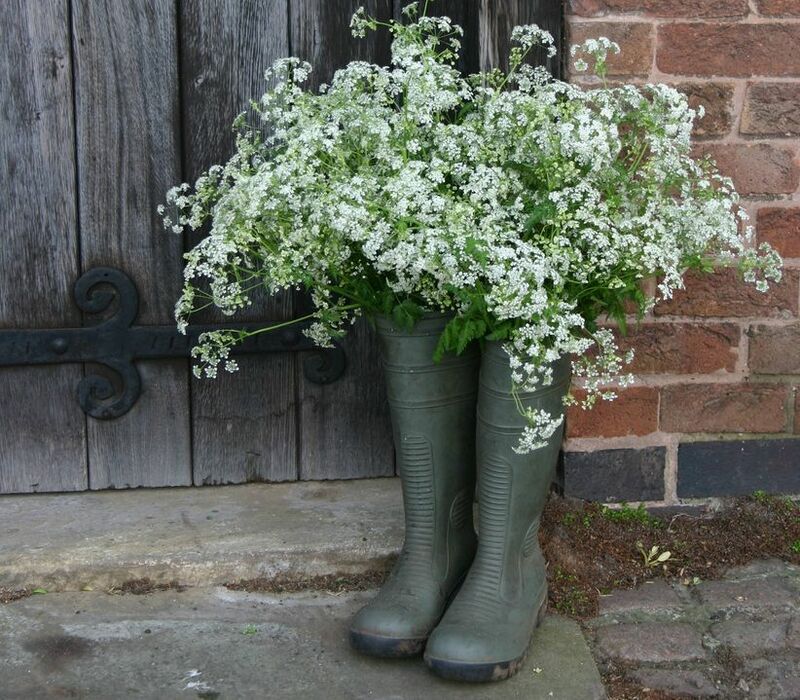 Forget about plain ’ol vases - display your floral arrangements in wellies to make them even more eye-catching. 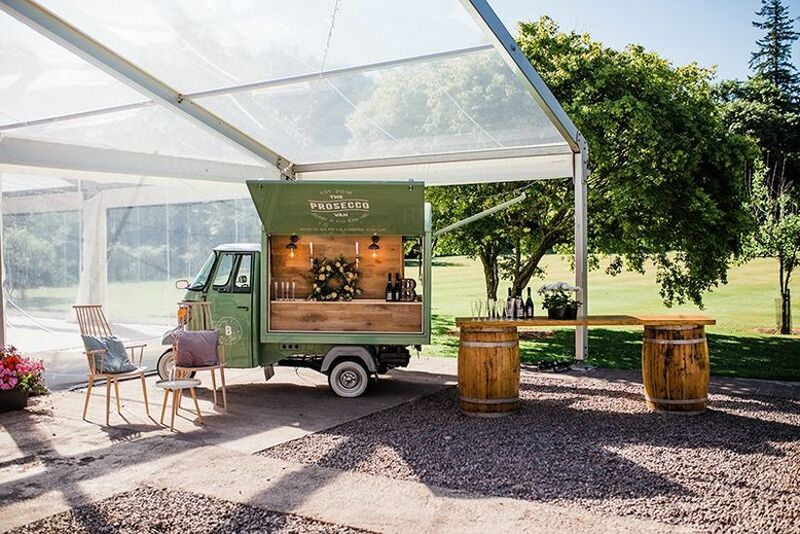 Even if you’re not having an open-air wedding, bring your drinks reception into the great outdoors so that your guests can catch some rays and enjoy the warm weather. 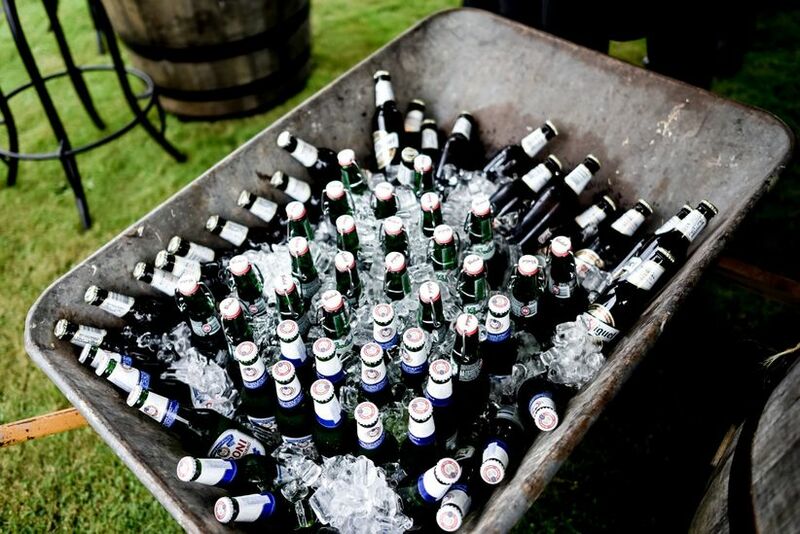 Sure you could keep your beer in coolers and call it a day, but where’s the fun in that? We suggest making a garden-inspired drinks display using a vintage wheelbarrow, a few barrels and maybe some flowers for good measure. 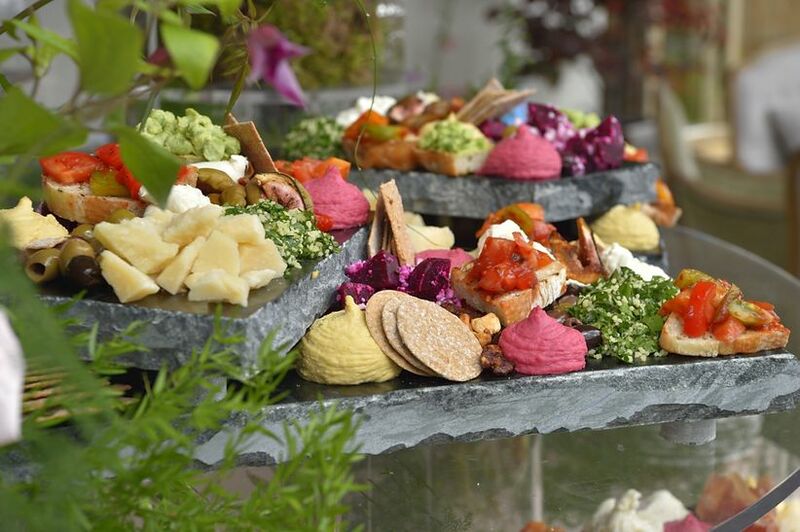 Add some fresh seasonal snacks, like fruits and veggies paired with zesty dips, cheeses and charcuterie, to your buffet. You can also ask your caterer to create mains inspired by fresh, local ingredients to really kick your wedding eats up a notch. 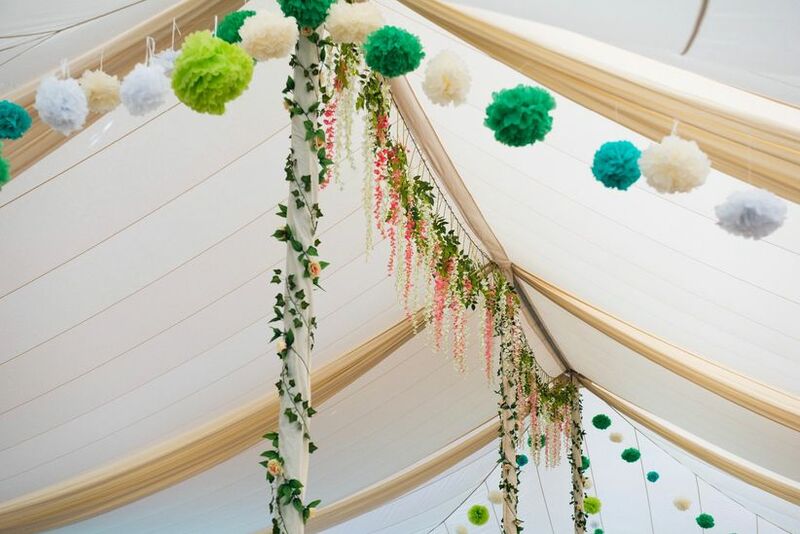 Brighten up your space by hanging rows of whimsical paper pom poms from the ceiling of your marquee tent or venue. Rustic decor is big in the spring, so why not incorporate some into your wedding? 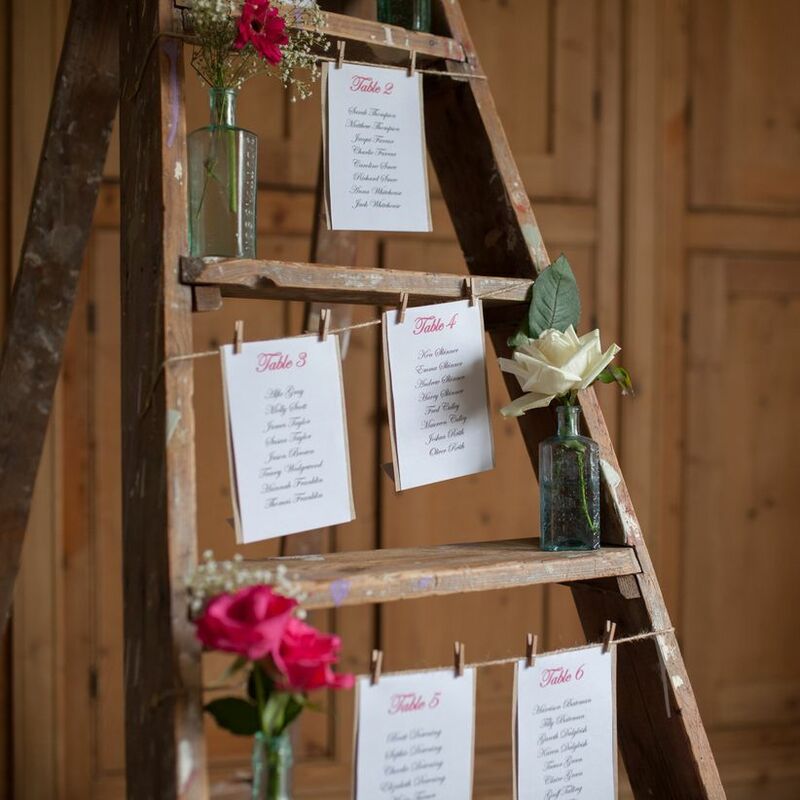 We love this shabby-chic ladder wedding table plan stacked with mini floral arrangements. Bonus: it’s a pretty easy DIY project, so you could save a couple of pounds by going this route. Pretty up your tablescapes by adding birdcages filled with vines, flowers and woodsy decor. 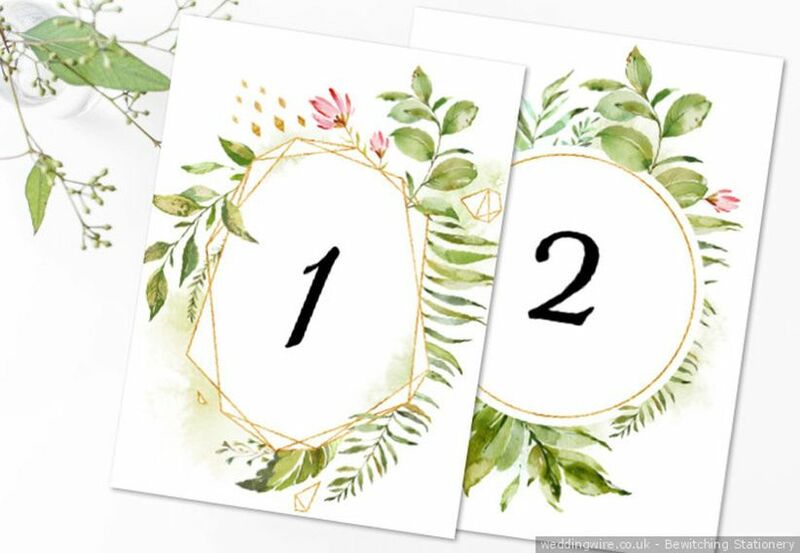 Make your table numbers or names a bit artsier by surrounding them with gorgeous floral watercolour designs, like these ones. 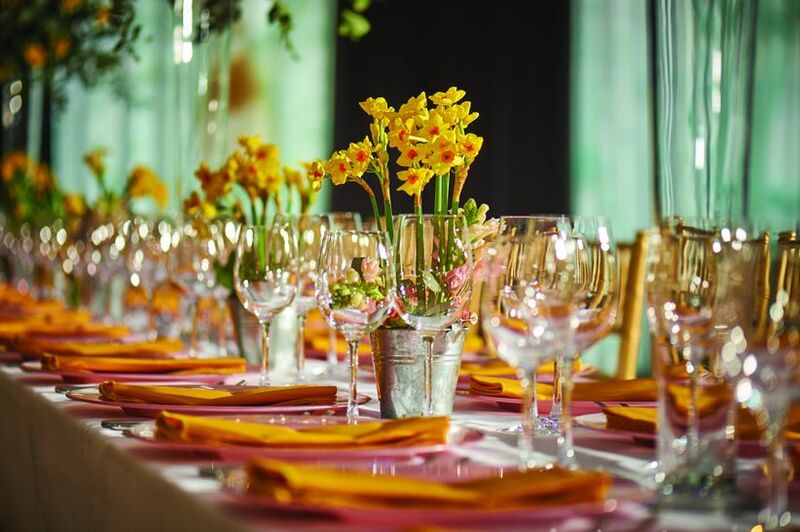 Instead of sky-high, dramatic floral displays, add a few potted plants to your reception tables. These can double as table name/number holders and can even be given away as favours at the end of the night. 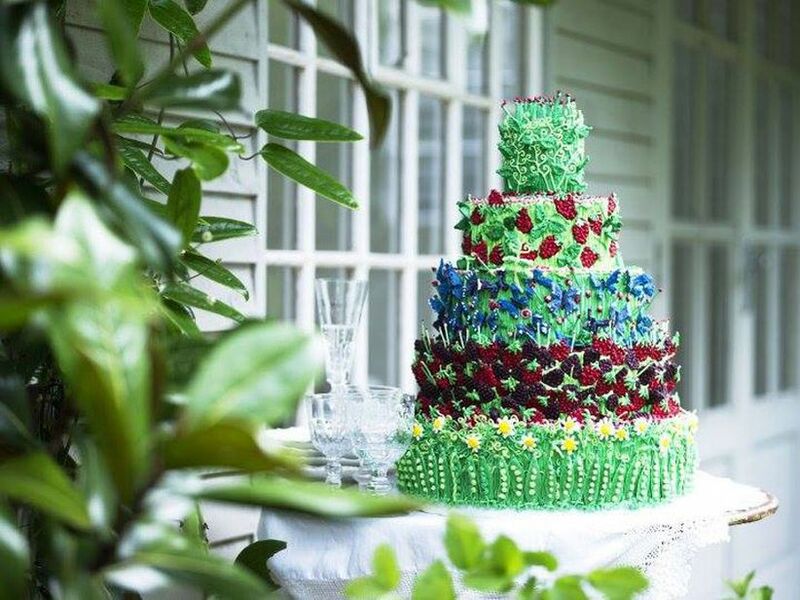 Amp up your wedding dessert table by asking your baker for a gorgeous floral wedding cake designs. You can have them painted onto the cake, crafted with icing or use real blooms that complement your other arrangements as toppers. 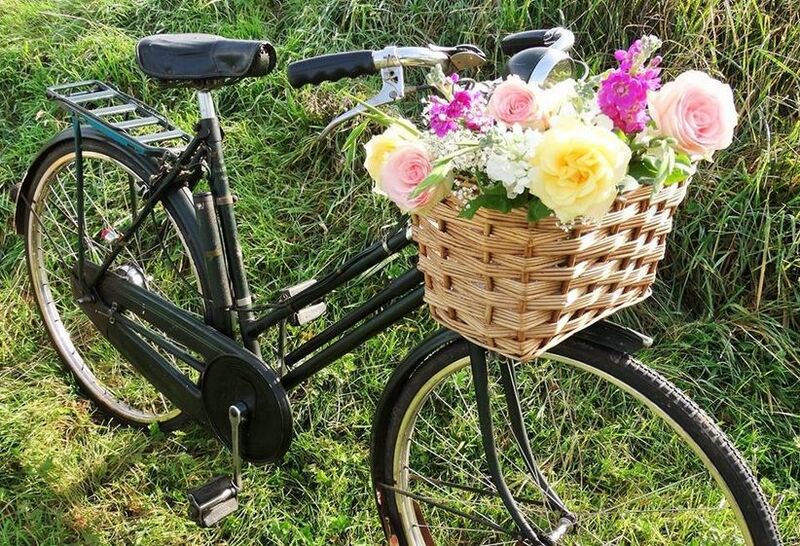 Add a few vintage bicycles to your decor to make it even more magical. They can hold favours or floral arrangements or be used to display signage. 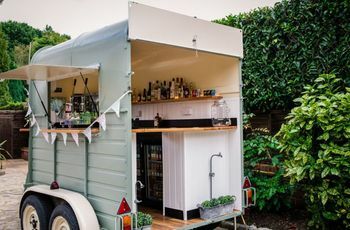 If you want a more eco-friendly wedding, you can even skip the classic getaway car and ride off into the sunset on a pair of bikes. 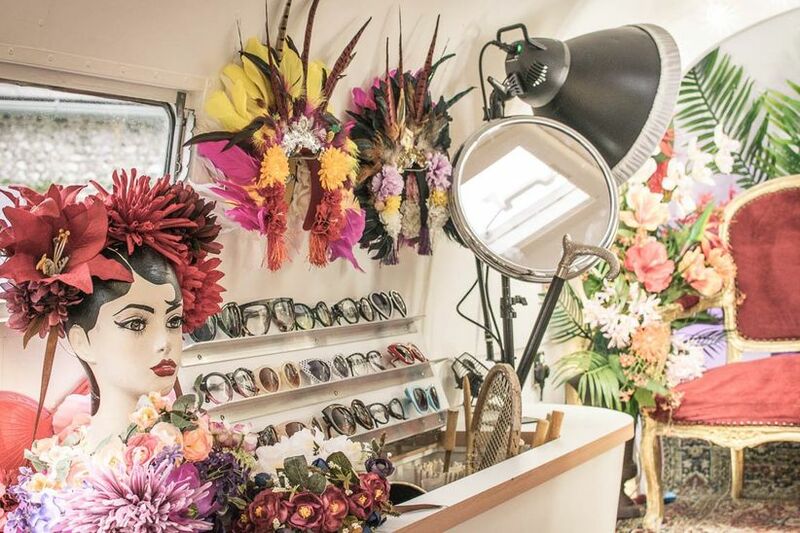 Yes, emoji signs and feather boas will always be awesome wedding photo props for your photo booth, but if you want to make yours fun, fresh, fierce and ready for spring add some faux flower crowns and bouquets to the mix. Don’t forget to use them in your backdrop, too! 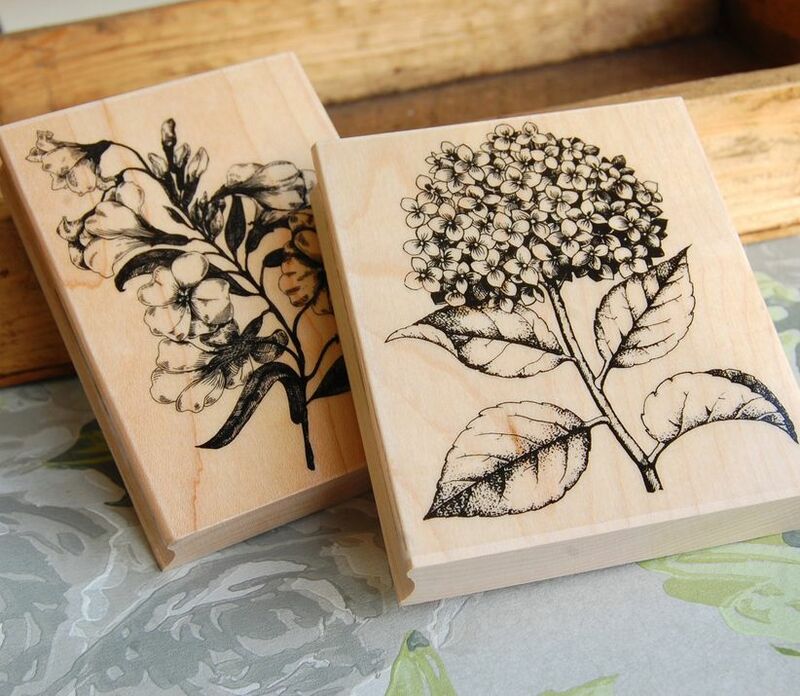 Give your guests the gift of a full garden by offering packs of seeds as wedding favours. They’ll thank you when their flower boxes are filled with a rainbow of beautiful blooms. 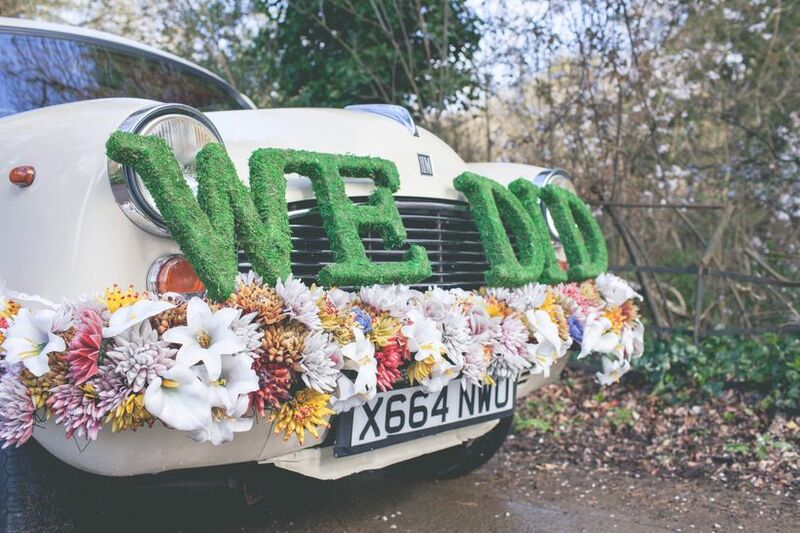 Looking for a fun way to make your wedding car decorations a little more spring-y? Cover your ride with flowers, greenery and, if you really want to go that extra mile, a sign covered in moss. The transparent wedding decor trend is huge right now. 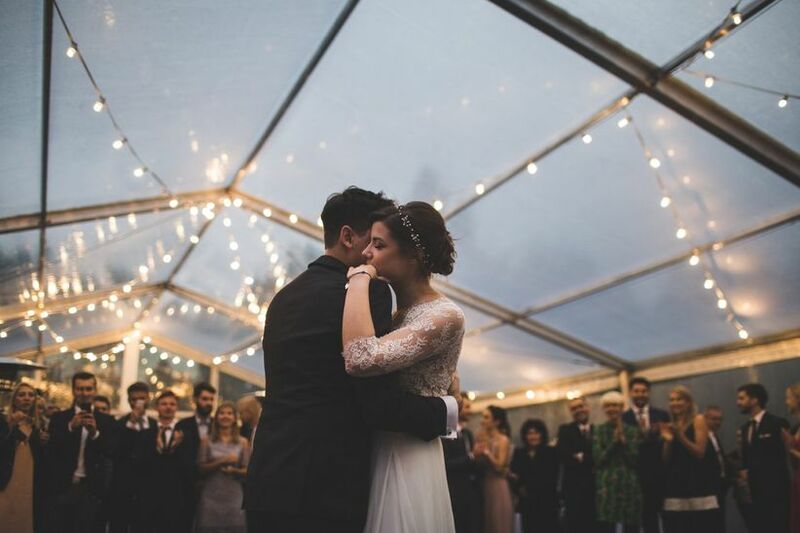 One of the coolest ways to work it into your spring design by choosing a clear top marquee tent as your venue. You’ll get to see the sun, the stars and be covered if Mother Nature decides to throw any rain your way.